Are you a sleep talker, or a sleep walker? Do you often feel hungover, without wetting your whistle? Does your partner compare your snoring to a lawnmower or a jackhammer? Have you ever been banished to the couch for disrupting your partner's precious forty winks? Then this comedy show is definitely for you! 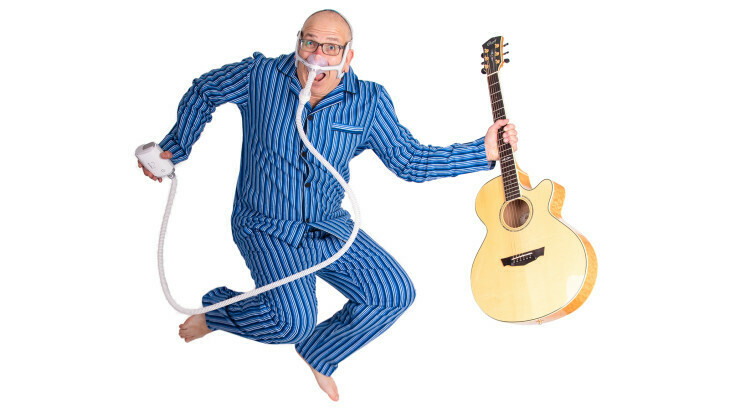 Come face to face with your snoring at Stew Walker's very funny show The Book of Snorin' - Sleep Apnea The Musical, on now at the Charles Dickens Tavern as part of the Melbourne International Comedy Festival until 14 April. It's not a 12-step program, but it might get you booked into a sleep clinic. 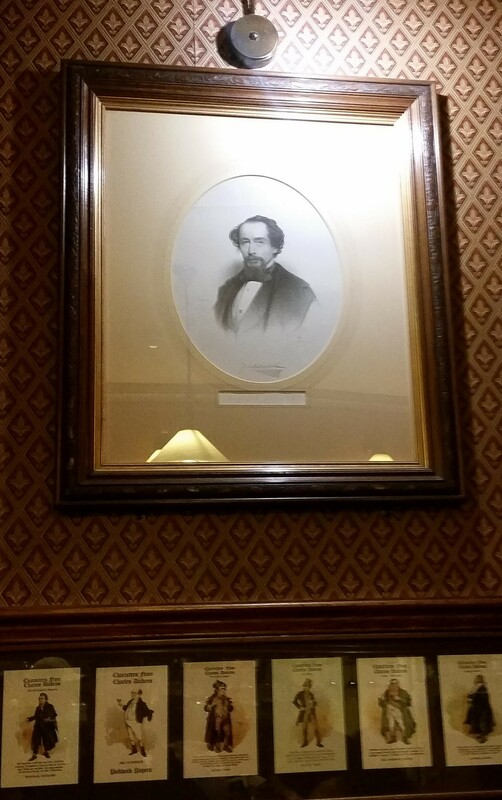 Head downstairs into the warm and cosy Charles Dickens Tavern off Collins Street, just before the Block Arcade and enjoy traditional British fare before or after the show (I highly recommend the curry and chips). 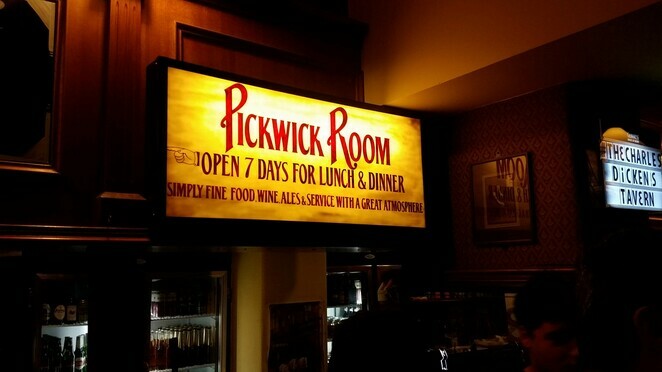 Step through the red curtains to The Pickwick Room with your family and friends enjoy the show. Bring your sleep-deprived partner with you - it might save the relationship. 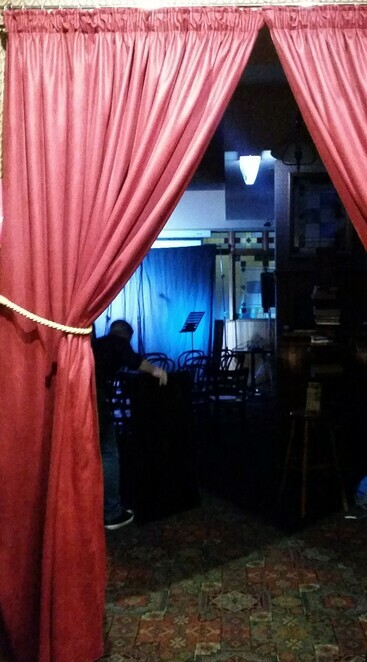 Now, Stew Walker is a very clever man, because he has chosen The Pickwick Room to perform his show for a very special reason. Not only does it pay homage to Charles Dickens first novel The Pickwick Papers, but to a character who has had trouble sleeping. But you'll have to see the show to find out more! It's hard to face up to behaviours you perform when you are unconscious. Stew knows this all too well. His partner banished him to the bungalow for months. What was he to do? Where was the proof that Stew had committed a crime that rang the death knell for his relationship? Let's face it, whether you are a snorer, or sleep with a snorer, it's an uphill battle. It's hard because the snorer often has no idea of the noise pollution they are emitting whilst asleep. Yet we love them so - but something has to give. For Stew, it meant coming to terms with losing a few kilos, wearing a mouthguard or spending $2K on CPAP machine. None of those options seemed attractive or viable to him. So whilst contemplating this dilemma and becoming chronically tired, Stew wrote a bunch of funny songs about suffering from sleep apnea. 'Bungalow Blues' and 'Plug Me In' were my favourites. Not only that, Stew managed to get CPAP Victoria to sponsor his show. As I said earlier - Stew is a clever man. 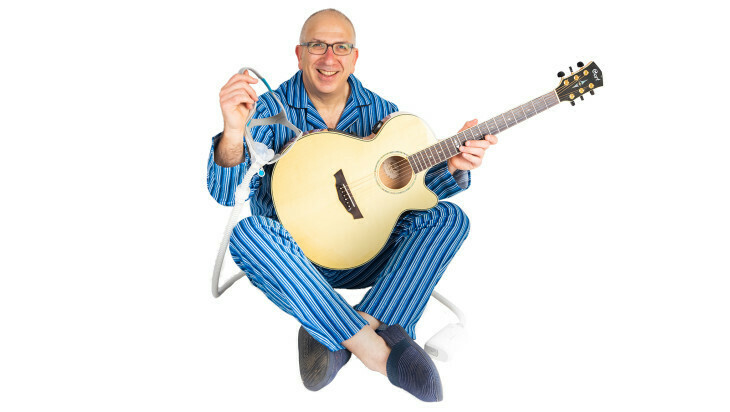 He is also very funny, a little bit quirky, donning stripy blue pyjamas and a guitar to share his very relatable story to a captive audience. There's something for everyone in this show - a little audience participation, nervous laughs, guilty looks, winks and nudges from tired partners, and a general acceptance that sleep apnea is very common. But the great thing about The Book of Snorin' - Sleep Apnea the Musical is that we can laugh and sing away our troubles, with an ale in hand, and hopefully go home and smile ourselves to sleep. Make sure you check out Stew Walker's show today! Day Spa at Pawn & Co. This is a great review. I enjoyed reading it!